"I am profoundly grateful to NBC viewers who responded to the stories I shared, providing funds to help expand the reach of those programs and who encouraged their schools’ principals, their mayors and local activists to think about how to build similarly transformative programs in their own communities," Clinton wrote. "It’s been a privilege to be part of the NBC Family." Her stories were largely service-focused, including features on a boxing gym that offers tutoring in Detroit; a diner in Albuquerque, New Mexico that helps kids with homework and feeds them; and an education program in Pine Bluff, Arkansas that deals with hunger and education in the region. Clinton's role with NBC was reportedly lucrative. Politico reported earlier this year that the former first daughter was paid $600,000 for the first few years of her contract with the network. 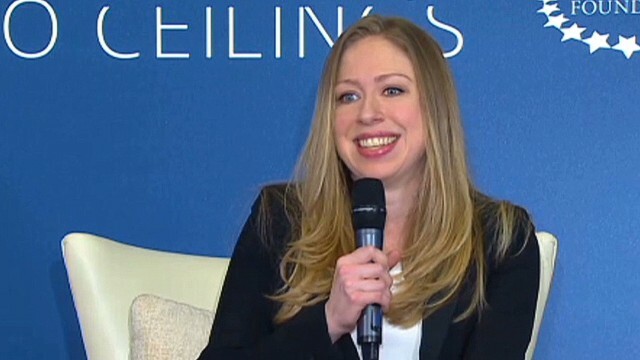 To much ballyhoo, Chelsea Clinton announced she was pregnant in April. With her mother, Hillary Clinton, considering a run at the presidency in 2016, a considerable amount of attention has focused on Chelsea Clinton's pregnancy. On Thursday in San Francisco, Hillary Clinton was asked whether the baby would be a boy or a girl. Clinton added: "We are going to be surprised like the old days and meet this new arrival and welcome him or her into the world." Good luck with the new bundle of JOY for the Clinton's !!!! "Chelsea will be busy campaigning for Hillary in 2016. Hillary and grandchild will be an instant photo stop sensation on the campaign trail. Ummmm... it's "photo op", not "photo stop". And yeah, Hillary would probably stoop to that." Stoop to what? There's no "stooping" about that. It's what politicians always do. They parade out their families so you know they're good, wholesome family types blah blah blah. I really don't see anything wrong with it and can't imagine you have a good argument for why it's a "stooping" issue. If that's the case, then the wording in the article is a failure. It makes it sound as if it were $600,000 in total. In typical leftie fashion, it is never their fault.... That $600,000 number was made public when she took the job. Your memory isn't what it used to be. I'm sure your apology will follow? Glad to see her go. She only did fluff, and didn't do that well. Fair – Thanks for the in depth narrative in "photo op." The brain dead RWNJs would never have understood without your help. Geez, she had a great gig there getting paid megabucks to pretend to do work. But not quite as good as MY gig where I get to do the same thing, except go golfing as much as I want, take vacations and all on the taxpayers dime. Top THAT Chelsea! but we already know bill clinton is the furthest thing from a wholesome family type as you can get!! so you are saying the clintons will continue their lies on the campaign trial.
" that why Pres.Obama took 500 BILLIONS from Medicare to fund HIS ACA"
the $500 billion went to ACA and has provided health care to millions of uninsured Americans. OK, so which one of our resident lefty experts is lying and which one is not??? BWAHAHAHAHA!!! Keep talking, I mean lying, or is it spinning? I've already stood corrected. The phrasing in this article was misleading. I stand by my original interpretation. You RWNJs do know that the republican house is going to have to provide the funding for any long term action, which means nothing will get done.